QR Codes are fantastic. Short for Quick Response, the 2D bar code technology made a big splash in Japan in the mid 90’s. More than 15 years later the little black and white squares are finally gaining traction in the United States, but still remain on the outskirts of mainstream use. What does a QR code do? A QR code is a cleverly disguised link to online content. Anyone with a QR code reader mobile phone application (and a camera phone) can access the hidden QR code content (say that five times fast) by hovering their mobile device’s camera eye infront of the QR code until the QR reader app detects the code and translates it into content. Popular mobile apps for reading QR codes include Bakodo, KAYWA, i-nigma, Lynkee, BeeTagg, and more. Each of these readers is a little different, depending on what QR code experience you want. I personally use Bakodo on my iPhone and I’m very happy with it. The software is highly responsive and it’s, well, fun. QR codes don’t always live online. They can be printed onto anything that will hold the design. T-shirts, billboards, stickers, paper, etc. For example, a billboard advertising a magazine might have a QR code that links to the magazine’s online website once it’s been scanned by the QR reader. Or maybe a person’s resume will contain a QR code listing the person’s references. What QR Generator should I use? Once you decide on a QR code generator, all you have to do is determine the type of content you’re coding (SMS, email message, URL, V-Card, etc) and what the content will include (a phone number, a website link, a coupon, etc). The generator will present the code to you for download. Depending on the generator, you might have the option of choosing from a range of sizes (small to extra-large) and colors. A word of warning: The more information you try to add to you QR code, the more complex the QR design will be, and the harder they are to read (for a QR code reader). You probably don’t want to type out a short story. 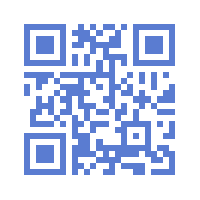 Instead, write your novella and post it to your website or blog, and then use the site’s URL as your QR code message. People who scan the code will be instantly directed to your short story’s website. QR codes can handle just under 4,300 characters (letters, numbers and symbols), which is why URLs and phone numbers are so popular: They’re limited in size but give the curious decoder the perfect link to the information they are looking for. Confused? Don’t be. These things are fantastically simple to use once you give it a shot. Once you have downloaded your freshly created QR code to your desktop, you can then upload it as a picture to your blog or website, or you can save it as a PDF and print it on paper or fabric. It’s just that simple. Get out your QR reader! we believe that QR codes will make the connection between offline and online worlds easier. That’s why we created our QR code generator with social features – YouScan.me – http://www.youscan.me. You can add all your info like Facebook profile or fan page, twitter, youtube, etc. and connect with others. Great post, Christie! I knew what QR codes were, but didn’t know how to create them…good info! At least it wasn’t a message about the leg lamp. “More Ovaltine Please!” lol! I loved your QR code post! Sorry it took me so long to get around to reading it! Thanks for sharing such great information. I personally prefer ZXing but Kaywa also works pretty well!